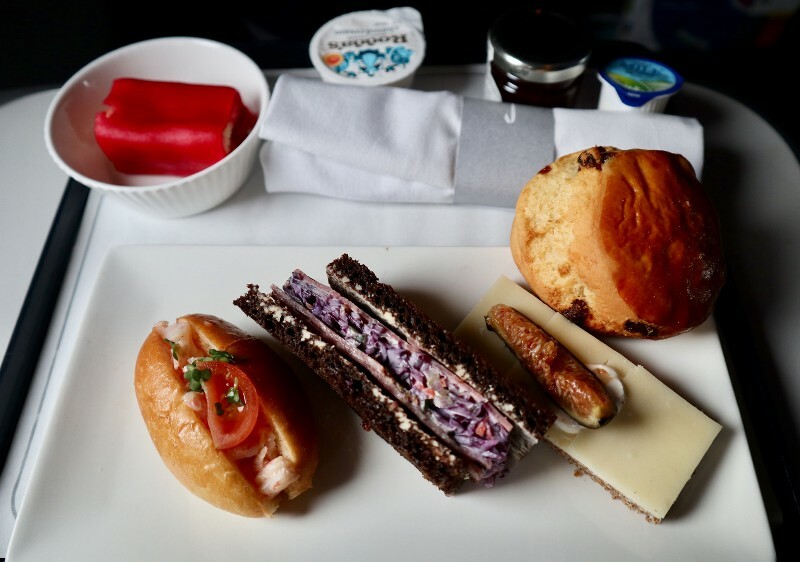 I am flying lhr/lin on May 9, Can anyone tell me if this is breakfast or lunch and which band it is in? LIN is Band 2, and a 09:20 flight will get you breakfast. Post 1 in this thread has full details of bands and times, and what each meal contains. Thanks. I did see that but the menu for flt.576 was for lhr/got not lhr/lin. adrianlondon and volar like this. The goat cheese and lentil is the best vegetarian one IMHO. I personally find it a lot nicer than the chicken. I still think the KSML is a nicer choice though. I don’t do the non-standard meals, but my favourite CE (band 1/2) is the beef with rocket, sun blushed tomatoes and horseradish. 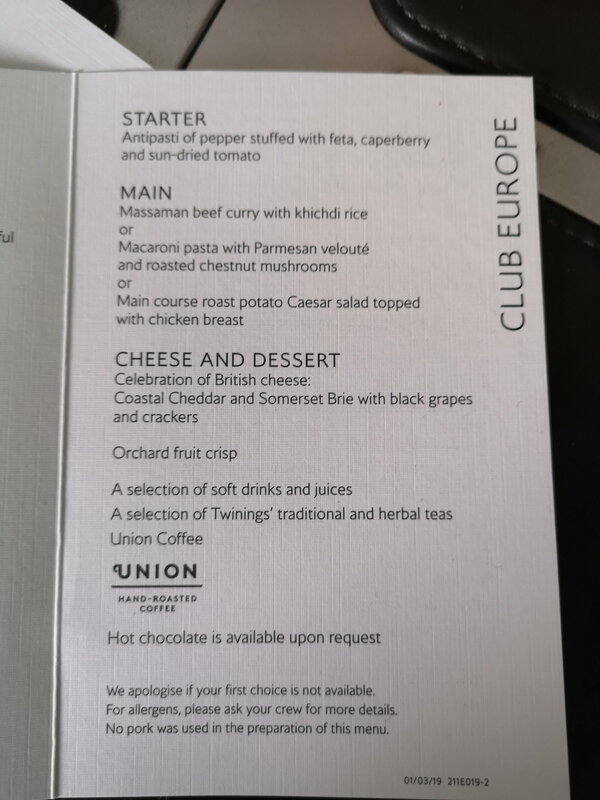 I would probably have gone for the goat cheese, had I wanted something more filling, though I prefer lentils or goat cheese not to be too chilled (and I quite like coronation sauce). The KSML with salt beef “elephant” you posted upthread does look good. I tend to forget to order special meals, I’m usually only spurred into action when the spectre of afternoon tea looms (but based on your advice above I will avoid KSML for afternoon tea). The few previous KSMLs have I’ve had were all good. I haven’t had this option available to me yet, is the horseradish flavour very strong? It sounds like a good dish, but I don’t enjoy very strong horseradish flavour. The beef with horseradish is my favourite among the meat options. I was highlighting the lentil and goat cheese as my favourite among the vegetarian options. I personally do SPML more than occasionally as otherwise I could sometime end up eating 4 times the same thing in a row otherwise (especially if I don't like one of the two options) when I have particularly heavy European flying as most of mine is bands 1/2. adrianlondon, Tobias-UK and Oaxaca like this. Just had the chicken and coronation sauce on an evening flight into LHR and it was actually pretty good. Would pick it again, but will see what the options are next weekend as doing same flights. 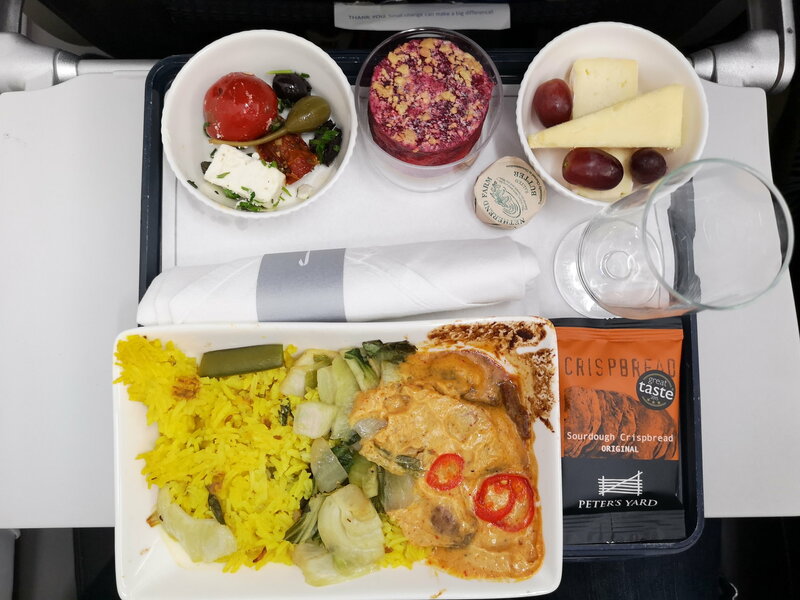 Rest of the Day Band 4 meal on the BA2264 MLA-LGW last Friday ( 08.03.19). I noted that the quince jelly and one of the cheese's has been enhanced away which even the CSM hadn't picked up on. I'm certain it was there on my HEL-LHR flight 5 weeks ago( am aware of different caterers being used). The curry seems to have shrunk in both sauce and definitely in meat as we both had 4 pretty small pieces in our dishes. I don't remember there being 3 cheeses? I seem to recall it's either grapes or a chutney of some sort depending on the rotation. Am i confusing LH then, I was sure there was a blue cheese of some kind as well? Being mainly LGW based i've always had the quince jelly although as said above appreciate this might be a catering difference but it's now disappeared in any form in preference of grapes. The dessert was very sweet - probably too much for my tastes. 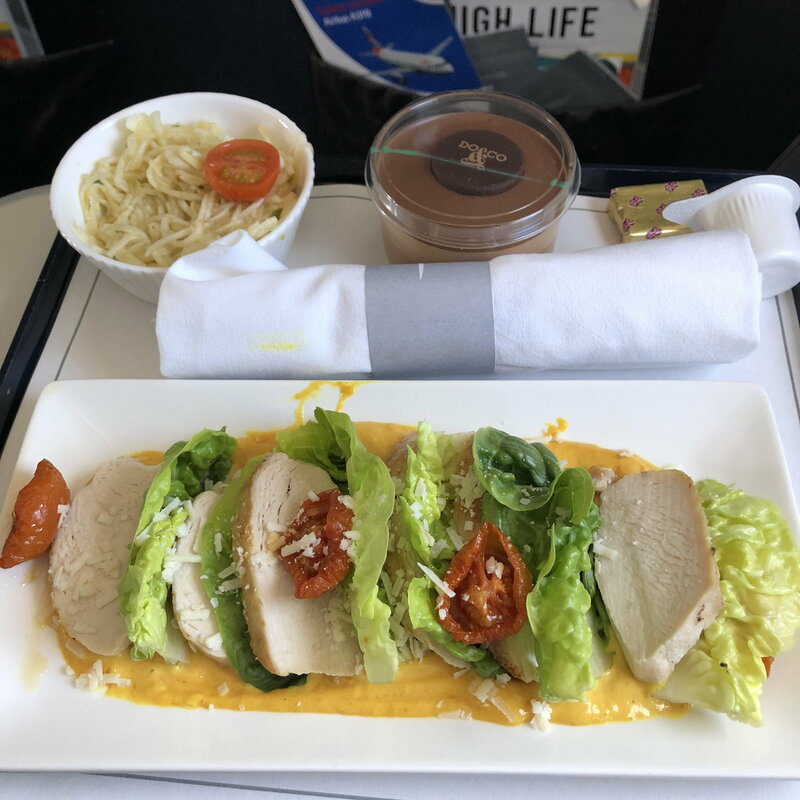 I was offered the Chicken coronation salad on GOT/LHR despite only 8 people in front of me this was teh only option left (*no menu) The chicken was dry and overcooked. I can't see how anyone would enjoy it! Just to clarify GOT is a Band 2 route. Express, Band 1, and Band 2 routes don't have menus. Band 3 and Band 4 routes should have menus.